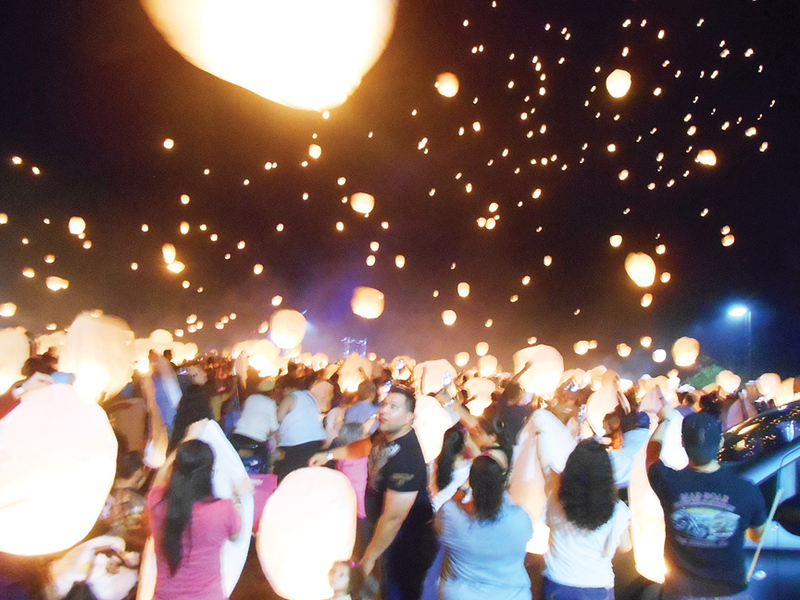 The South Padre Island Convention Centre was the place to be last Saturday, as the Island hosted its first ever Lantern Fest. According to Rachel Thomas of Sack Lunch Productions, creators of the fest, it was a sold-out event, with 3,000 people paying to participate in the festivities. Thomas explained what the festival is all about, saying “The Lantern Fest is a family friendly event that has a main attraction of Chinese floating lanterns, but there’s fun for the entire family. So, if you have kids, this is the perfect event – we have Disney princesses, face painters and all sorts of activities throughout the day,” she remarked. Along with these activities, there was live music, a multitude of bonfires burning in galvanized tubs, vendors selling trinkets and commemorative t-shirts, and 3 food trucks featuring Mediterranean and Mexican-Korean fusion cuisine, as well as SPI’s Chicago Dog.